Michael & Christine Mooney, are husband and wife. They have been painting professionally for 12 years. 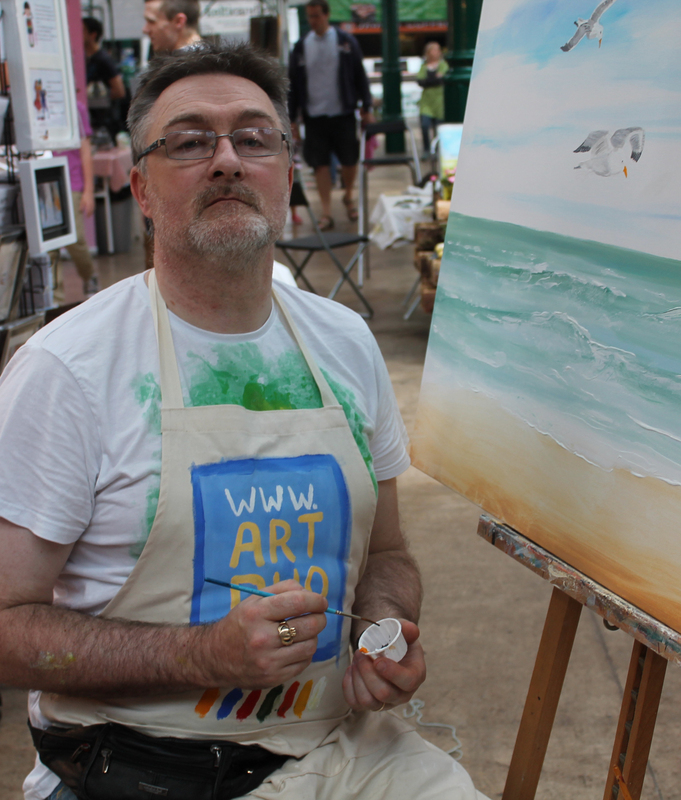 They are based in St. George's Market, and exhibit at various galleries and Art Exhibitions throughout Ireland. Michael's current work is of local people and scenes done in a heavy impasto style. This involves mixing a gel into the acrylic paint to provide the medium to create the texture he applies. His subjects come from people he has met and places he has been, and also from childhood memories. 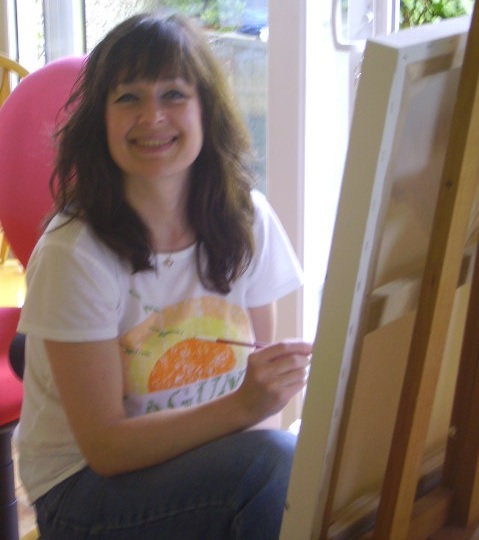 Christine has been focusing on Portraiture in her recent work. From personal commissions of family and friends to famous people from the realms of music, film and sport. She gets her inspiration from her great love of music and her fascination of capturing the essence of her subjects.